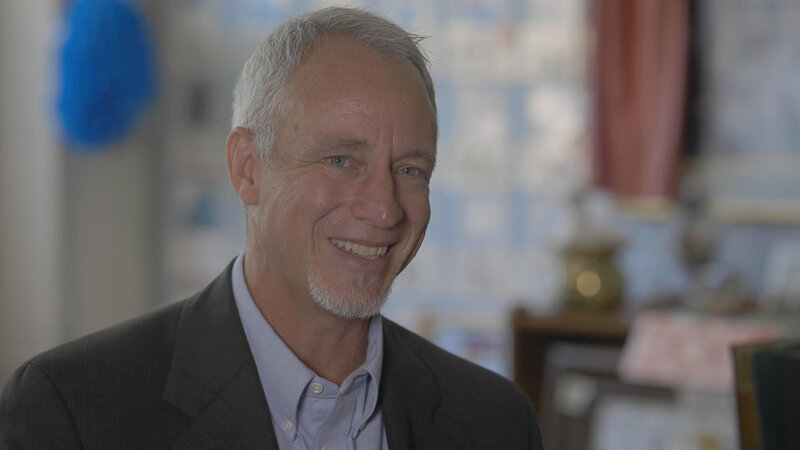 In this interview with Michael Pollock, our first Head of School, he discusses Cambridge School's educational philosophy, the forming of the school, and the early years in anticipation of the school's 20th Anniversary Celebration. He is one of many voices in the video documentary created for the event - Be Thou Our Vision: The Story of Cambridge. Q: What drew you to Cambridge? Michael: I loved the idea that you could have a school that was really focused on who Jesus is and approached all of the realms of the academics through the lens of: how does this fit in the kingdom of God? How does this help us to understand God better in who we are and where we're going? We looked a lot at motivation. There was a popular book around that time called Punished By Rewards, and it questioned the whole idea of reward systems for kids. Cambridge was saying, "Let's reject that, and let's move toward what's going to motivate kids through their imaginations, through their lives and their passions?" We wanted passion and compassion to be the fuel that runs their learning. Q: Charlotte Mason talked a lot about how children are born persons. What has that meant to Cambridge? Michael: When we looked at the development of Cambridge, we focused on the idea that kids are volitional. We wanted them to have choices: "What are you interested in?" "What are you good at?" "What do you feel pulled toward?" Also, "where do you struggle?" You don't just avoid those things. As an educator, you have to know your student, as a person. And then you know they're also embedded in a family, in a community, so you need to know other influences in their life. Children are holistic persons. You're not just dealing with their minds, but dealing with their hearts and their hands as well. Charlotte Mason also said, "Give children every day something to love, something to know, and something to do." The idea was to stimulate the mind while also treating them as people in bodies. We aren't just sticking them in a desk but giving them space to move and grow and explore. And then you give them something to care about, something that matters to them. Q: How did the unit-based curriculum come about? Michael: When Scott and I sat down and said, "What would be a curriculum spine? What would hold this all together?" We looked at some different models. Learning is a diamond with understanding and seeing the face of God at the center. All the different things that you study are facets." The idea of a unit of study allows students to go in deeply, not a mile wide and an inch deep. We wanted students digging into a topic. Students understood it and connected to it; they found things to care about. Skills are hard to develop. Some kids will do whatever you ask them to do, and that's fine. But there are other kids who will want to ask why. "Why am I doing this?" When you can tie those skills - reading, mathematics, science skills, and literature - together in a big picture study, it just makes sense. They're willing to do the hard work because it's interesting, and it comes alive. Q: What does it mean to you when you see learning come alive for a student? Michael: I think teachers live for those moments. There's a lot of hard work. You're dealing with complex beings. Dallas Willard would say, "Recognize these are eternal beings having a human experience." At times it could feel like a slog. "Am I getting through? Are we really breaking through?" Um, are the, are these kids really learning? When those moments would come, it was such a gift to discover something alive and bright and powerful in them. Those sparks happen or those flames flare up, and you see the potential is just incredible. Q: How did Cambridge get its name? Michael: To tell on ourselves, initially I asked Scott, "Why pick such a snooty name?" As I got to know Scott better he said, "It's got to be Cambridge. I can explain it..." When C. S. Lewis was an Oxford Don, he was limited in the way that he could bring, faith and academics together. That's the renaissance split that we experienced in education. When C. S. Lewis moved to Cambridge, he found that he could integrate faith and reason. That had become how he taught and how he interacted with people. That's what we wanted to have happen at Cambridge. We want to have faith and reason to meet, and then all the fruits of the spirit would come out of that. Q: What does the Celtic cross mean for Cambridge? Michael: Early on, Scott and l were reading Stephen Lawhead, and we were reading Lewis and Tolkien and the development of Celtic Christianity in the stories of Merlin and Arthur. When we looked at the meanings behind the Celtic cross, we saw: 1) it's ancient, and 2) many groups of Christians have historically adopted it. I also thought the Celtic cross was a good picture of how we go into culture to meet people where they are and give them a deeper understanding. Another symbol of it was that the circle represented the plate upon which the Eucharist was served, and that was deep and rich for us. You know, the body and blood of Christ as part of our symbol. Finally, I actually did a reading where they said the circle represented the millstone that would be tied around your neck if you were thrown into the sea. It was better for you to be thrown into the sea with a millstone than to lead a child astray. And that's probably not the one we put in the handbook, but, for us, that would be an important thing to keep in mind, that we have a sacred duty. Q: What do you hope Cambridge School's legacy will be? Michael: That's a big one. I would say, first of all, that it would never move from its place of being Christ-centered in its roots and focus, that the staff and the community would always seek the heart and face of God. As a core of the learning and growth development of the community and of the kids, I hope Cambridge would be a place that's open, that welcomes people from all kinds of diverse places and backgrounds into the learning community. We learn from each other. We're learning about each other. We're learning about our world, and, in that all, we're focused on learning the heart of God. The why of Cambridge is to help launch young people rooted in their relationship with Christ, rooted in the sense of community with each other and their own efficacy of learning. They would say, "This is what I was meant to do." But it's not just for them; it's really to go out into every corner of the world - to be light and salt. It's not about personal kingdom buildings. It's about building the community of God. I think we live in a world where we can't do business as usual. To follow the Spirit of God into our current times means that we're equipped and grounded and connected, and we're encouraging each other to go out into the marketplace, to the ends of the earth, and serve. We do that in love and in peace and compassion. This is really a launching pad community, a welcoming community and a launching pad community.